The Carpet Cellar is a specialist Gallery for the finest woven treasures. Conceived by India’s most respected curator of carpets, Sheel Chandra, The Carpet Cellar is considered a Mecca for certified antique carpets, perfectly executed recreations, modern designs, as well as kilims, durries, shawls and textiles. The Carpet Cellar houses a range of hand woven and hand knotted masterpieces, carefully selected by Mr. Chandra for their uniqueness and brilliance over the past four decades. The collection at the Carpet Cellar reveals a variety of styles and designs that will appeal to a wide range of tastes. Our selection illuminates the culture of areas stretching from the Black Sea to China including Mongolia, the former Soviet Union, Tibet, Turkey, Mesopotamia, Persia, Afghanistan, Baluchistan, India, Egypt and Morocco, as expressed through carpet design and artistry. The family behind the Carpet Cellar leverages its wool, cashmere and weaving enterprises to provide the finest raw material, facilities, and classically trained artisans to facilitate the creation of all new pieces. This form of vertical integration is unique to the Carpet Cellar and enhances our capability to ensure the quality of the end product. The Carpet Cellar is proud to have leading museums around the world borrow from our collections for exhibitions. Our patrons have publicly acknowledged the uniqueness and beauty of The Carpet Cellar’s collection over the years and our carpets can be found in the most distinguished homes and businesses both in India and abroad. The Carpet Cellar is a rare representation of the art of oriental weaving at its best and is the largest collection of its kind in India. 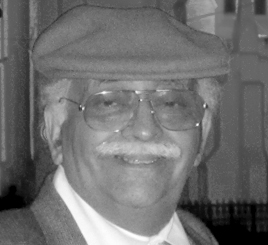 – Mr. Sheel Chandra is one of India’s most respected curators of carpets and textiles. Known worldwide for his passion and appreciation for wool and woven masterpieces, he is esteemed for his ability to create, maintain, and share his love and knowledge of carpets. Mr. Chandra founded the Carpet Cellar in 1975 in New Delhi, India and has been delighted to see his carpets, rugs and textiles adorn residences, businesses and museums across the world. Amongst other accolades, Mr. Chandra is known for having the one of the largest private collection of Persian carpets in existence. 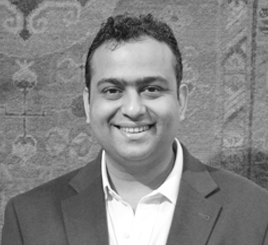 – Dhruv has enjoyed worldwide recognition as an Oriental Rug Specialist among carpet connoisseurs and collectors since taking over the reins from his uncle, Mr. Sheel Chandra, in the late 1990’s. His vision is to introduce art collectors to antique carpets and equal the significance of these woven treasures to works of art usually represented by painting or sculpture. Currently writing a book on Carpets as Art, Dhruv’s future plans include founding a carpet and textile museum in Delhi. 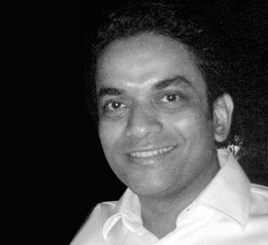 - Nishant is an entrepreneur involved in real estate, finance, wool and carpet industries. Nishant took over the day-to-day management of the Carpet Cellar from his father, Mr. Sheel Chandra, in the late 1990’s and is a globally acknowledged expert in art, textiles and exotic fibers. He is a frequent speaker, exhibitor and contributor in a range of domestic and international museums and societies. – Mr. Hasan has been actively involved in the carpet business with Mr. Chandra since 1986. 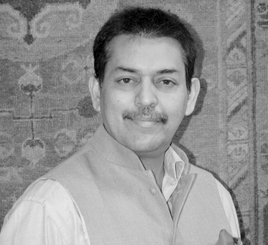 He hails from an illustrious family in Bihar and has been raised with the finest carpets, shawls and textiles. His knowledge and interest in carpets, shawls and other antiques has been honed over the years and he is a well-regarded expert of the art. At the Cellar he heads sales, marketing and exports along with managing all the high-end projects with luxury hotels, embassies, key offices and residents. An avid artist himself, his passion and love for the arts is evident through his photography, designing capabilities and detailed understanding of this industry. The Carpet Cellar is registered in the name of Woolsheel Traders Pvt. Ltd, a company incorporated under the Companies Act.